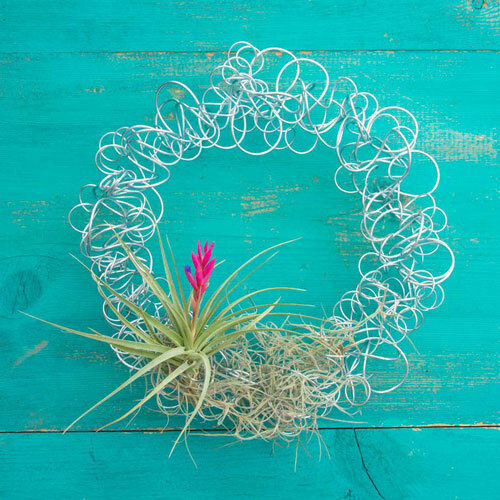 Air plants such as Tillandsias deserve pride of place in your indoor décor. Our new wreath, made from silver steel wire, is artfully coiled and curled to create endless options for displaying these carefree plants. Offering a very contemporary look and feel, this is a modern twist on a traditional wreath. Tuck pinches of live Spanish Moss into the coils for a soft contrast to the hard wire. Or, for a more industrial appeal, simply add Tillandsias and display. Made of 100% steel coil, it is sturdy enough to last a lifetime with proper care. Made in the USA. 10"H x10"W x 2"D. Weighs 8 oz. If you've ever considered xeriscaping, the practice of gardening with plants that require very little water or soil, then Spring Hill has you covered. We are proud to introduce our newly developed line of presentation options perfect for use with air plants such as Spanish Moss and Tillandsia. These carefree plants are must-haves in any xeriscaping display. 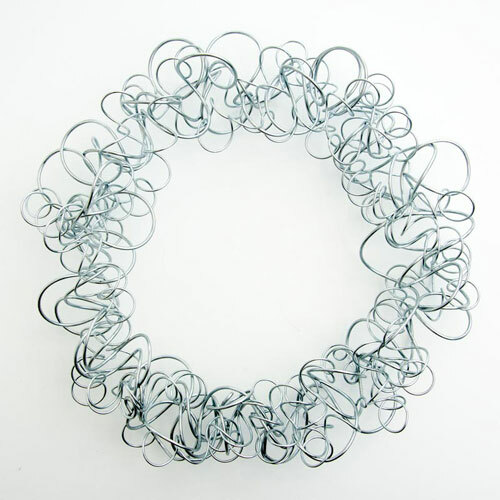 Simply tuck them into any one of our unique steel or aluminum coil pieces for a modern, industrial look. Or, choose our Featherock, made of natural pumice stone and ideal for use with a wide variety of plants and home décor items. Any way you choose to showcase these garden wonders, look to Spring Hill for ideas.